Clay Aiken – Support on A Special Night! 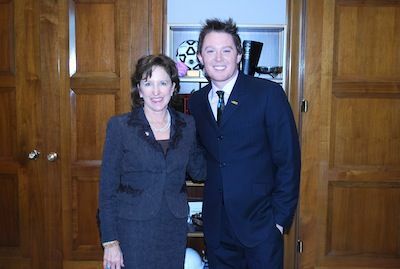 On Saturday, July 19th, the following e-mail invitation was sent out to supporters of Clay Aiken. Now in their 42nd year, the Tony Award-winning Red Clay Ramblers are a North Carolina string band whose repertoire reflects their roots in old-time mountain music, as well as bluegrass, country, rock, New Orleans jazz, gospel, and the American musical. One of the most authentic of the string band revival groups, the Red Clay Ramblers perform traditional Appalachian folk music and contemporary compositions, and mixed genres with such talent and authority that for years they have been considered among the best of the modern revivalists of string band music. The Southland Ballroom is one of the premier live music venues in the Triangle area of North Carolina. Located in Raleigh’s entertainment district, Glenwood South, Southland is in close proximity to many excellent restaurants and hotels. I don’t know about the rest of you, but I am wishing I lived closer to Raleigh so that I could attend this exciting evening. Between the wonderful group of people who are hosting the event and the lovely venue, this should be a special night. Add to that the fabulous musical group that will be featured during the event. WOW!!! 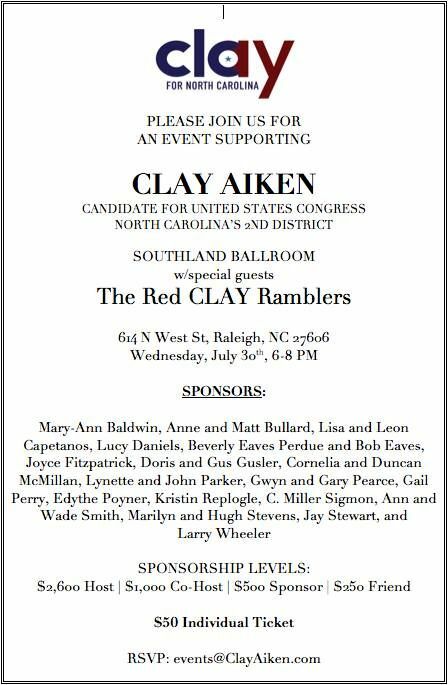 And best of all, the evening is in support of Clay Aiken and his campaign for Representative of the 2nd Congressional District in North Carolina. I hope the evening is a “sold out” event! 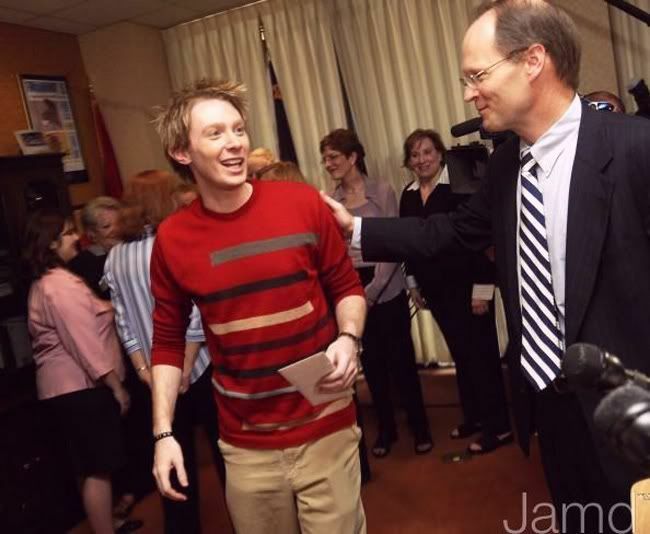 According to Ebonie Pittman , the Political Director/Scheduler for Clay Aiken For North Carolina, August will be filled many events. According to the schedule, there will be at least 8 reception/fundraisers in August. When the details are available, we will share them with you. Of course, if there is no event close to you, you can always contribute to Clay’s campaign. The money will help Clay let the people of district 2 get to know him better and learn about his ideas to help the residents of his area. And I am sure we all know that Clay will work hard to make a difference. Will you be able to attend the Fundraising party on July 30th?? It's kind of exciting to see former NC Governor, Beverly Perdue, as one of the sponsors of this event! 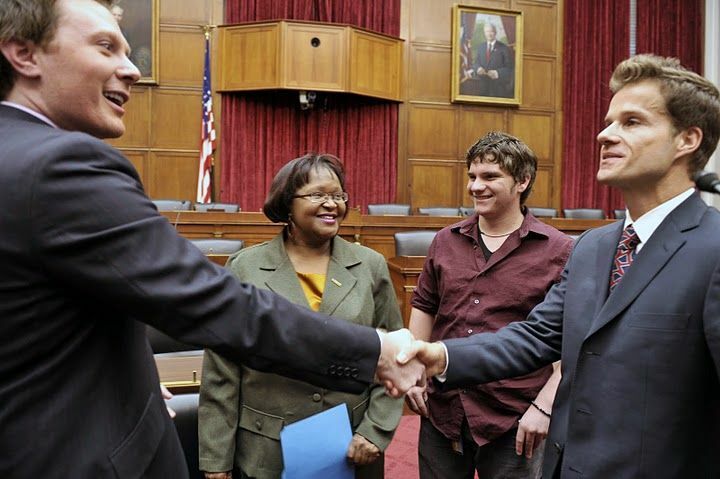 Looks like Clay's candidacy has attracted the support of a number of very influential Democrats. I expect these numbers will grow as the campaign proceeds! July 30 should be a great evening for Clay! Thank you again, for all the good news. No, unfortunately, I won't be able to attend. It sounds so exciting tho and would give anything to go if I could! I hope we hear lots of reports and pictures and also that Clay raises lots of money!! Clay For Congress!! Wish I could attend but it's impossible and would love to donate but as a Canadian I can't, too bad, wish him all the best and hope a lot of funds are raised for his campaign, so far he's done so well and I know he would make a great Congressman! Clay’s grandpa would have loved this event. I remember Clay saying that his grandpa always wanted him to sing Bluegrass music. It will be a toe tapping evening, and I hope they raise a lot of money for Clay’s run for Congress. Error: Error validating access token: Session has expired on Tuesday, 21-Aug-18 16:13:01 PDT. The current time is Thursday, 18-Apr-19 05:41:12 PDT.